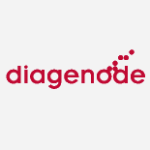 Diagenode is an international life sciences company that develops and commercializes innovative instruments and reagents systems for life science research and molecular diagnostics. Founded in 2003 in Liège (Belgium), Diagenode is a global company, with headquarters in Liege, Belgium and Sparta, NJ, USA. Diagenode also has a local sales office in the United Kingdom to better serve this specific country. Diagenode technologies and products can also be purchased through our extensive dealer network (see the list).